The Planet Earth Poetry reading series is a launching pad for the energies of writers and poets established and not. It is a place where words are most important. A venue in which all manner of poets and writers are welcome; a place for excellence, innovation, collaboration, diverse projects and experiments. The evening begins at 7:30 with an open mic, followed by a featured reader(s). Planet Earth Poetry is located at Hillside Coffee and Tea (formerly The Moka House), 1633 Hillside Ave (across from Bolen Books). Sign-up for the open mic begins at 7pm. Planet Earth Poetry is now on summer schedule. Diane Tucker’s most recent collection Bonsai Love (Harbour Publishing) is an eloquent book of poems about the sensual delicacy of love. Carefully pruned, intricate in design and sensitive to intrusion, these poems create an image of intimacy through reflection and in relation to nautre, the universe, music, literature and art. They follow one couple through the full life of their relationship, resulting in a deep investigation of what it means to care and be cared for. This is BC poet Diane Tucker’s fourth book. Her first collection, God on His Haunches (Nightwood Editions, 1996) was a finalist for the Gerald Lampert Memorial Award, and she is also the author of the poetry collection The Bright Scarves of Hours (Palimpsest Press, 2007) and the novel His Sweet Favour (Thistledown Press, 2009), as well as a play, Here Breaks the Heart: the Loves of Christina Rossetti, which was produced by Calgary's Fire Exit Theatre in 2013. Tucker's poems have been published in Canada and abroad in more than sixty journals, she lives in Burnaby, BC. 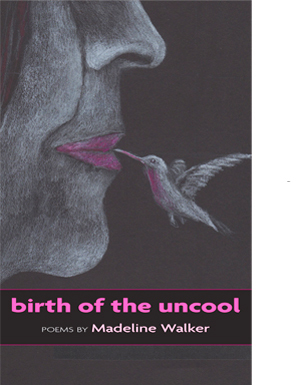 Madeline Walker will read from her new collection of poems, birth of the uncool (Demeter Press). More details. —Arleen Paré, author of Paper Trail, Leaving Now and Lake of Two Mountains. been published in Room, University of Toronto Review, and the Journal for Multi-Ethnic Literature of the United States, and English Studies in Canada. She lives in Victoria, BC, with her husband and two cats. 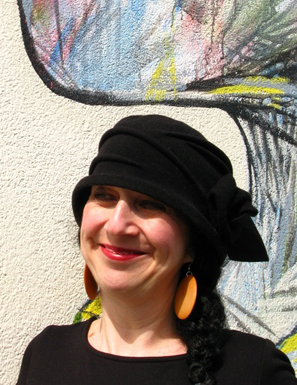 Rachel Lebowitz is the author of Hannus (Pedlar Press, 2006) which was shortlisted for the 2007 Roderick Haig-Brown Regional BC Book Prize and the Edna Staebler Award for Creative Non-Fiction. She is also the co-author, with Zachariah Wells, of the children's picture book Anything But Hank! (Biblioasis, 2008, illustrated by Eric Orchard). Her most recent book is Cottonopolis (Pedlar Press, 2013), a sequence of prose poems about the Industrial Revolution. She lives in Halifax. andrea bennett’s latest collection is Canoodlers. Her writing has appeared in several literary journals and magazines across North America; her poetry has been anthologized in books from McGraw-Hill Ryerson and Ooligan Press. In 2012, she received a National Magazine Awards honourable mention in the Politics and Public Interest category. She is a contributing editor at Geist, and a former editor at Adbusters, This magazine and PRISM international. Originally from Hamilton, andrea now lives in Vancouver with her partner, Will. She is a graduate of the University of British Columbia’s MFA program in Creative Writing. Daniel G. Scott writes in a variety of forms: academic articles, plays, radio and print journalism, but his long standing joy in writing is poetry. His first longer book of poems black onion (Goldfinch Press) was published in 2012 and other poems have been published in the Antigonish Review, The Island Writer, the anthology Poems from Planet Earth, and Radiant Among the Willows, a chapbook edited by Patrick Lane. Many years ago a chapbook: Pyramid and other dreams (Purple Onion Society) was published. In 2013 he coauthored, with Shannon McFerran, The Girls’ Diary Project: Writing ourselves into being (University of Victoria Press) an account of a research project that explored the inner lives of adolescent girls through their diaries. He is currently an associate professor, School of Child and Youth Care, University of Victoria and continues to write his way through the vicissitudes of life. Bonnie Nish’s love of words was instilled in her by her father at a young age. A poet and writer himself, he would recite poetry during their evening drives together. Bonnie’s journey into the world of literature was greatly influenced by his sensitivity to the wonders, beauty, and sufferings of the world. Bonnie earned her bachelor’s degree in English literature from the University of Toronto and her Master’s in Arts Education from Simon Fraser University. She is currently enrolled in The European Graduate School, earning her PhD in Expressive Arts Therapy, learning to help people heal themselves with the power of words. Not long after moving to Vancouver in 2001, Bonnie was one of the founders of Pandora’s Collective, a charitable organization dedicated to promoting Vancouver’s writing community. Bonnie was also the founder of both Vancouver’s Summer Dreams Literary Arts Festival and the Twisted Poets Literary Salon, now in their 10th year. As well, she began and continues to run weekly and monthly writing workshops in local schools, the Jewish Community Centre, and drug rehabilitation centers. For these, and her countless other contributions to the writing community, Bonnie has received numerous awards, including the Writers International Network’s (W.I.N.) 2013 People’s Laureate Award and Dr. Asha Bhargava Memorial Award. 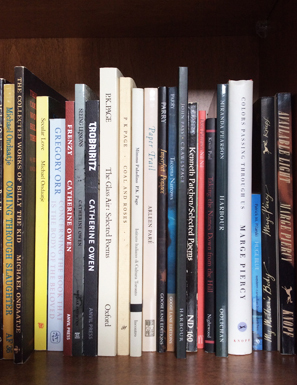 Do you put your poets in alphabetical order? GET READY FOR THE START OF OUR NEW SEASON! Opening night of Planet Earth Poetry is a fundraiser for Doctors Without Borders. Featured readers tonight are all of you! This is the night where everyone brings to the open mike a poem written by one of their favourite poets. One poem; maximum 3 minutes. Part of the fundraiser is a table full of book to buy: $5 each for the latest in poetry, fiction and non-fiction. Planet Earth Poetry has not raised its cover charge since inception. This season, we will maintain our minimum $3 cover, but are suggesting everyone put $5 in the hat, to help support bringing poets from across BC and Canada (and sometimes even farther away) to read at our nationally recognized reading series.